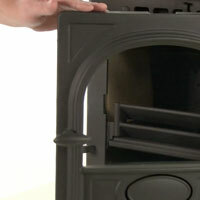 Open the door of your wood burning stove and create a firebed. 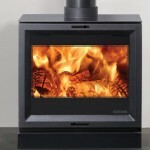 Place firelighters, or paper, and dry kindling wood on the grate (multi-fuel version) or firebed (wood burning version) – kindling wood is very dry, small pieces of wood and twigs that will catch alight easily. 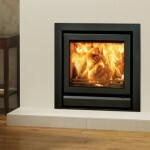 A successful fire initially requires plenty of kindling to establish a hot firebox and warm the chimney to aid flue performance. Light the paper or firelighters. Leave the door slightly open. Add larger pieces of wood. 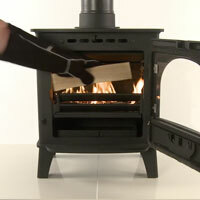 Once the kindling is burning well; add larger pieces of split wood to create a stable firebed. 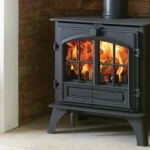 Do not use full sized logs at this stage, build up gradually in size. 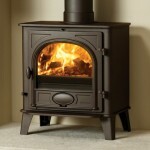 Too many logs may smother the fire. 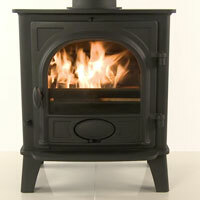 For safety and efficiency reasons do not load fuel above the log guard and the secondary combustion air inlets at the back of the firebox. You may now shut the door. 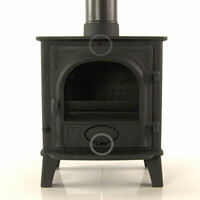 Looking for a spare part for your wood burning stove? 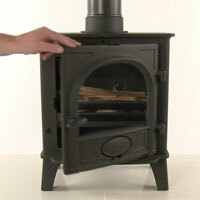 Do you know a wood burning stove from a multi-fuel stove?